DIY balloons are perfect for parties, wedding banquets, special events, promotions, or even greeting & invitation cards, etc.. Are DIY balloons difficult to make? No! Now, you can print whatever you want on our DIY balloons with simply an inkjet printer at home or in the office! 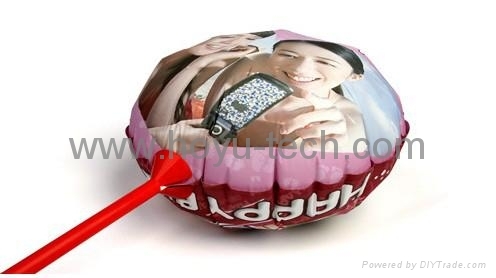 Made of aluminum foil composite film, the DIY balloons will stay good looking and high quality even after a long period of time. Personalized, easy to make promo gift items. No Heat Press required! 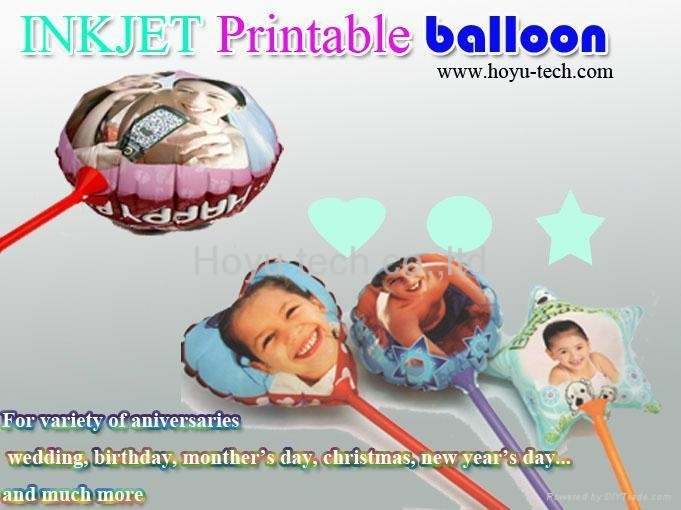 Print these balloons in any inkjet printer using standard inks. 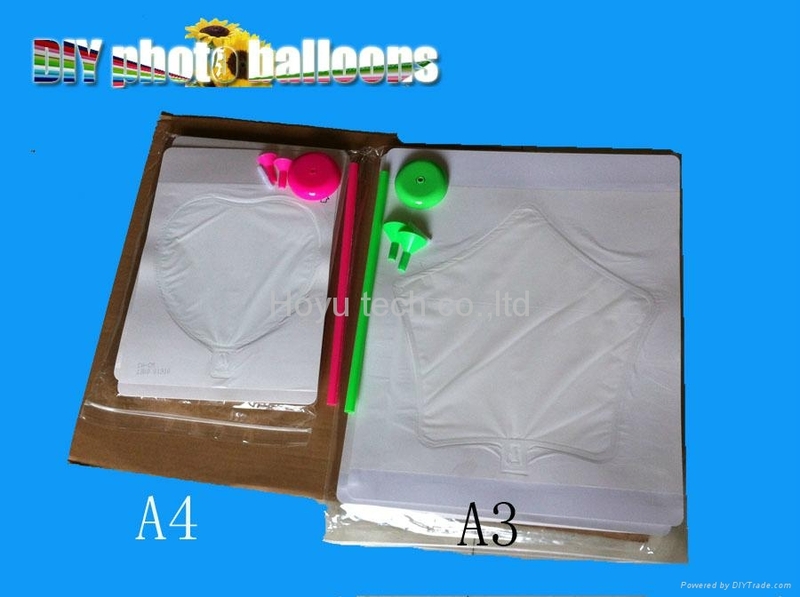 These balloons come in a frame that allows it to pass through your printer so you can print directly onto both sides of the balloon. Blow them up through colorful jumbo plastic straws. Helium is not needed. They fit onto bases or our attractive display stand. Template software is available with a huge selection of designs, or make your own. Insert your photos easily and personalize them “on the spot” for walk in clients. Great for fairs, events, fundraising, shops or parties.